I spent all day Monday working in my garden; and when I say all day, I’m talking 10 hours. The garden had gotten away from me in the last few weeks so that every corner was in need of weeding, pruning, clearing and harvesting. My final task at the end of a long day was to dig my potato rows. The foliage had suddenly turned black and died back a week or two ago, which seemed early so I wasn’t sure what I’d find under the soil. The yield turned out to be ok. Not terrific but more than I had expected. 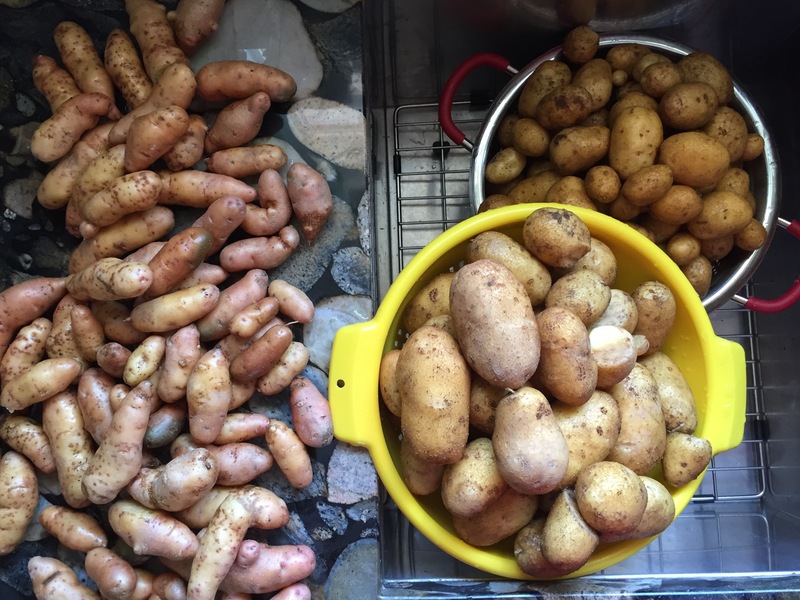 All told, I dug out 6.5 pounds of small new potatoes, 10 pounds of medium butterball potatoes and 3.75 pounds of fingerlings. The fingerlings I simply washed and stowed in the fridge. We will eat these in no time at all. The boys love roasted potatoes, almost like homemade french fries. Next, I addressed the small new potatoes. 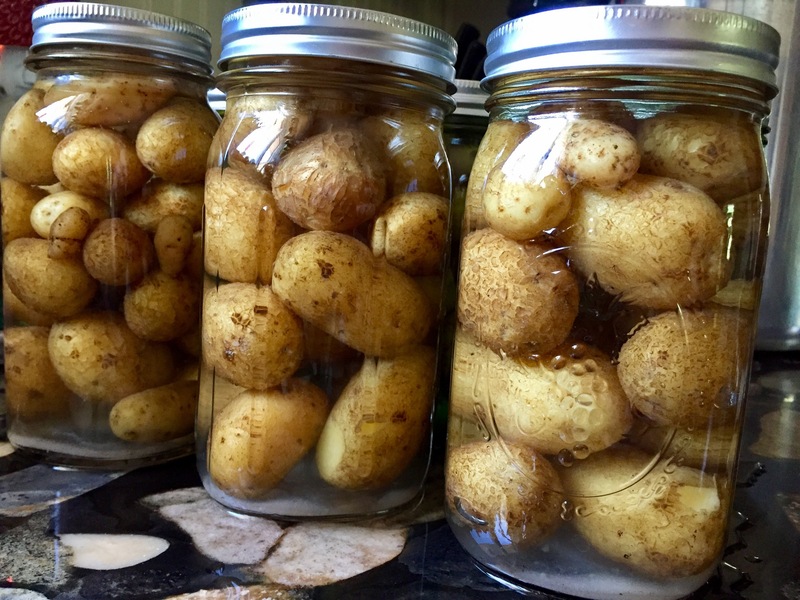 I checked for directions in one of my favorite preservation guides – Putting Food By – and found you could can potatoes whole if they were less than 1.5″ in diameter. All you had to do was boil enough water to cover the potatoes, drop the potatoes in to boil about 10 minutes then strain out the water. While those boiled, I set a pot of fresh water to boil. Pack your quart jars with hot potatoes, add a half teaspoon of salt if desired, then fill with boiling water, leaving 1/2″ headspace. Clean your rims, cap the jars and process in a pressure canner for 40 minutes at 10 pounds pressure. 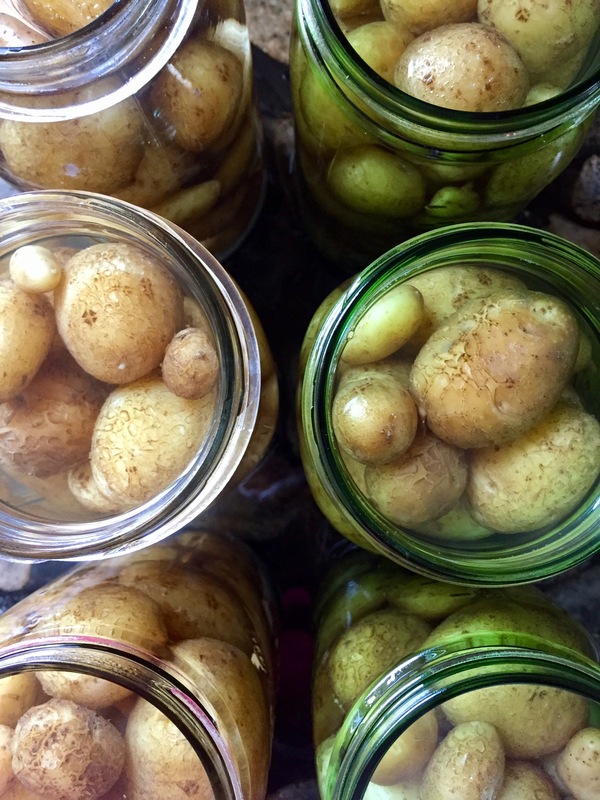 The final product is lovely and will make for some killer potato dishes this winter. My final project of the day was potato soup with the medium potatoes. 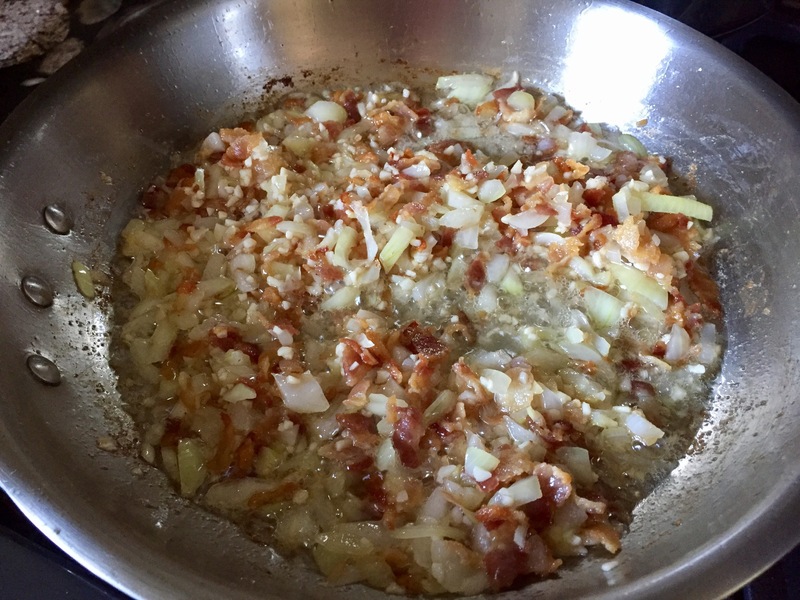 I found a recipe I liked on a website called Canarella. It was fairly simple. When you’re ready to eat it, warm the soup, mash up some of the big potato chunks and add a thickener if you like (like cream or corn starch). I’m looking forward to this soup on a cold winter night when I’m too lazy to cook dinner! 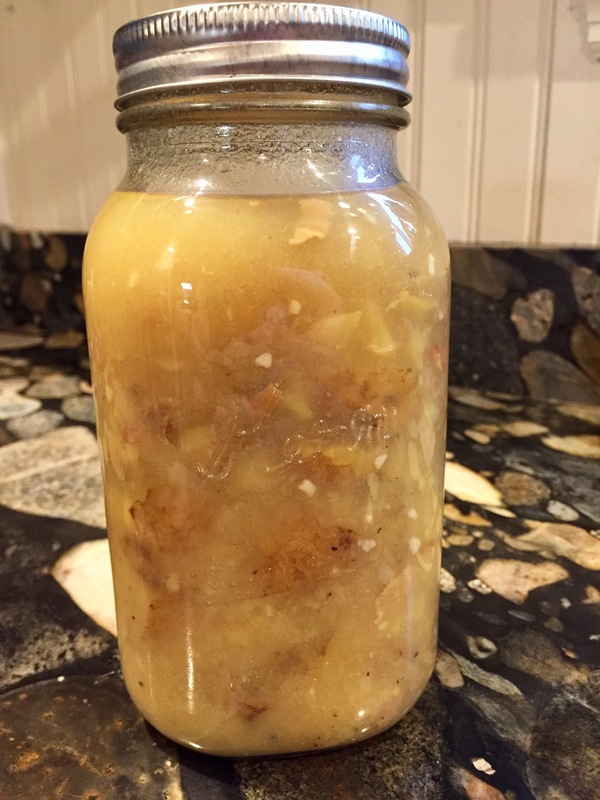 So that was my adventure in canning potatoes. It was a long day. That’s the only part of pressure canning I don’t enjoy. It takes so darn long. Otherwise, it does allow you to put up a much wider variety of foods than water bath canning. 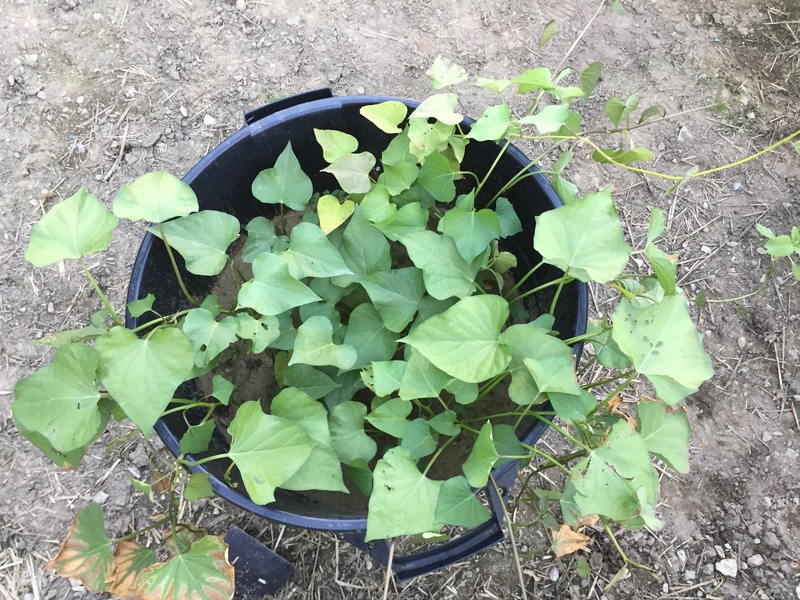 I still have three garbage cans full of potatoes to harvest – two white potatoes and one sweet potato. I’ll be interested to see, when I get to them, which was more productive – growing potatoes in the ground or in cans. Which do you think will win?